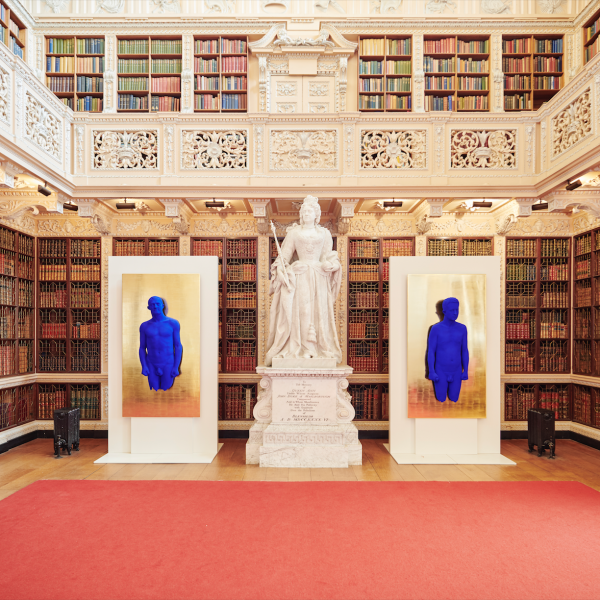 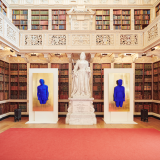 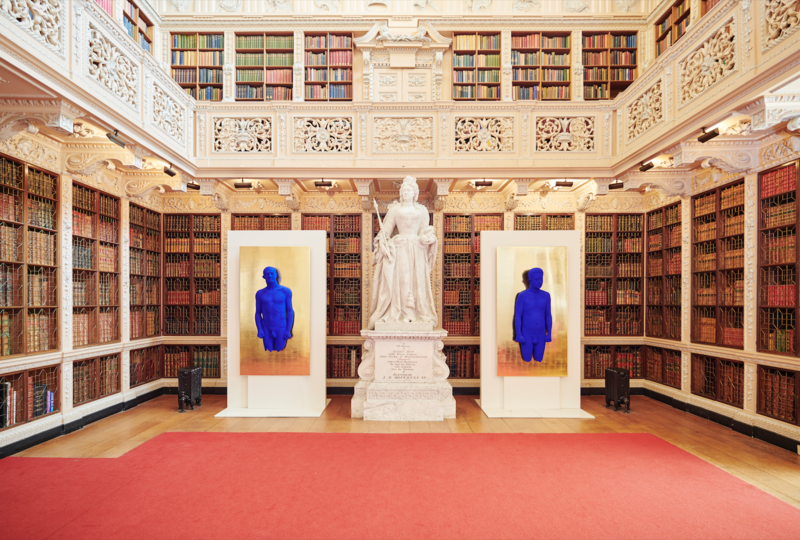 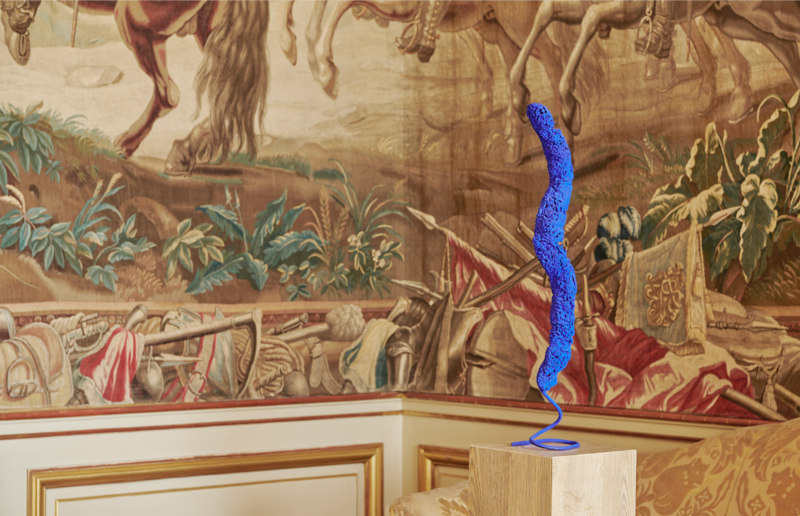 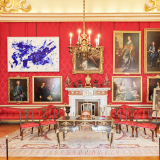 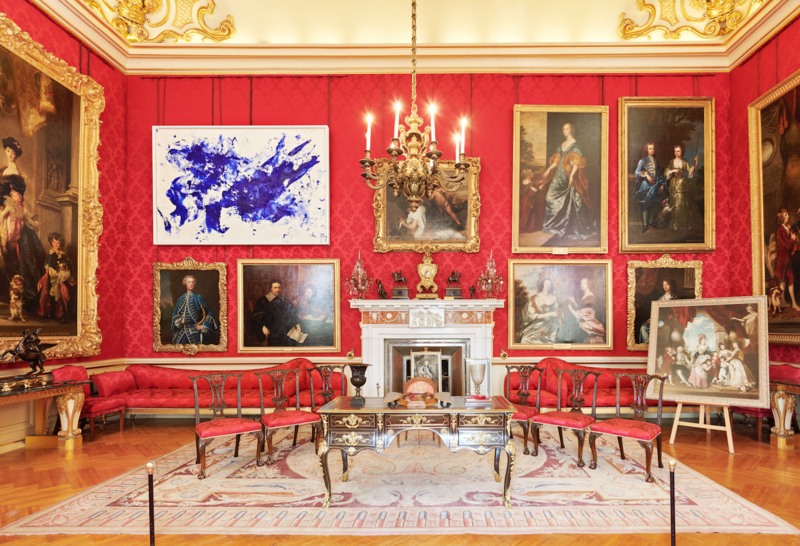 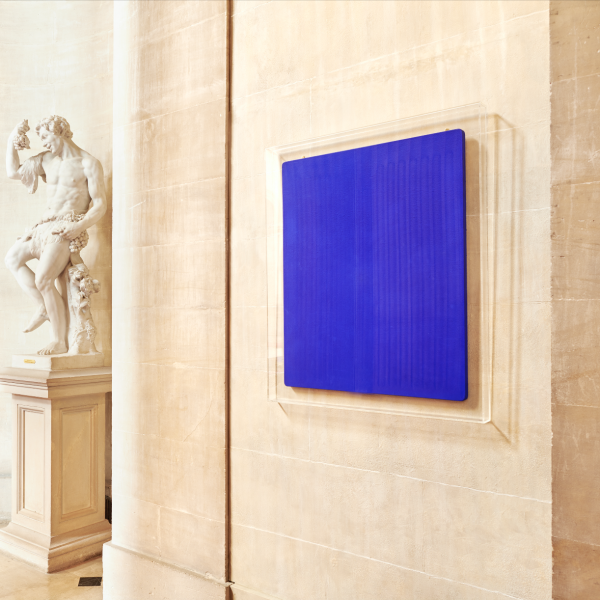 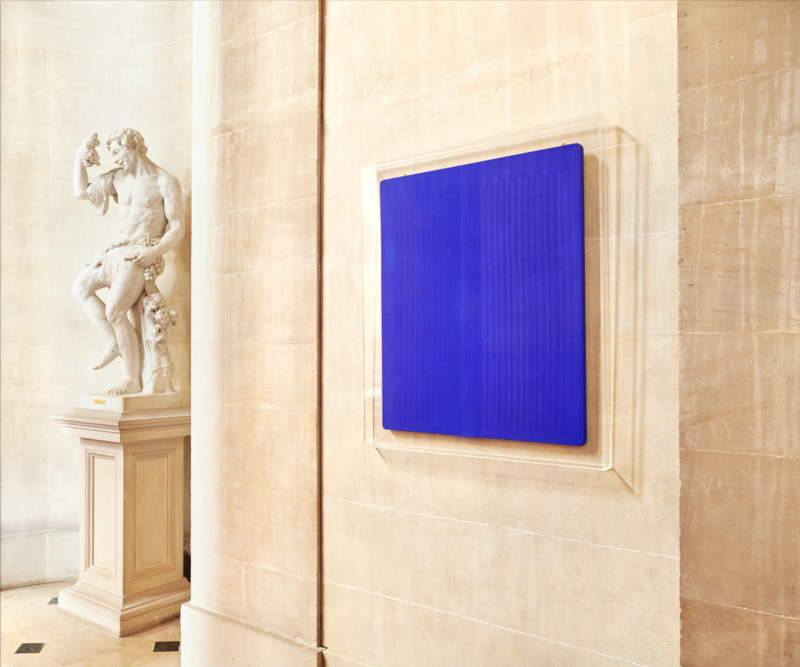 Blenheim Art Foundation’s fifth exhibition Yves Klein at Blenheim Palace, presented in collaboration with the Yves Klein Estate, coincided with what would have been the artist’s ninetieth birthday year. 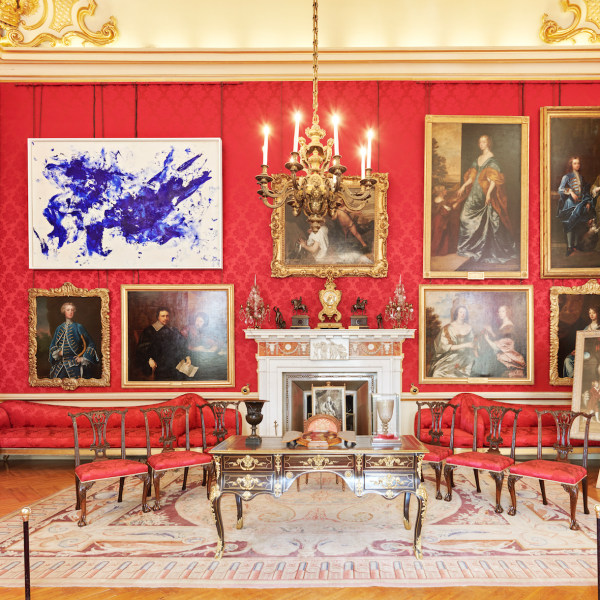 It explored concepts of beauty, sensibility and the sublime, offering visitors a unique opportunity to view the artist’s seminal artworks in the landmark setting of the World Heritage eighteenth-century Palace. Featuring over 50 artworks, visitors were able to explore Klein’s wide-ranging practice, including painting, sculpture and large-scale installation. 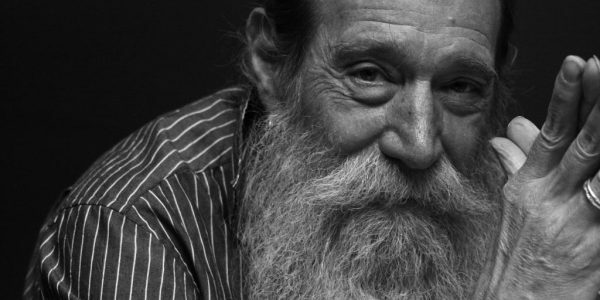 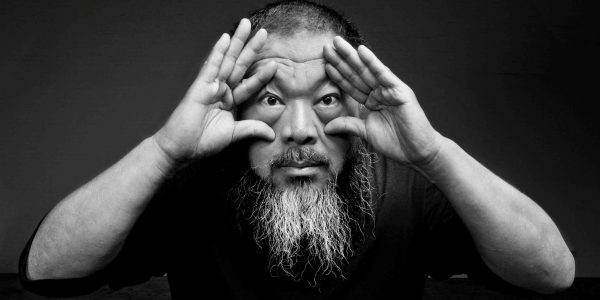 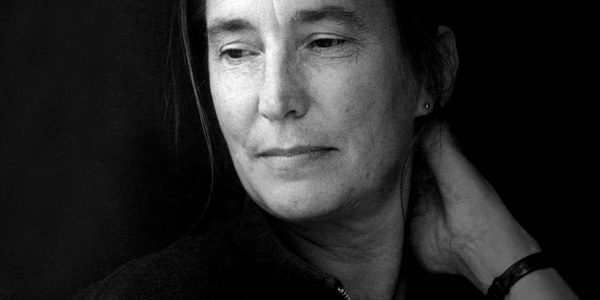 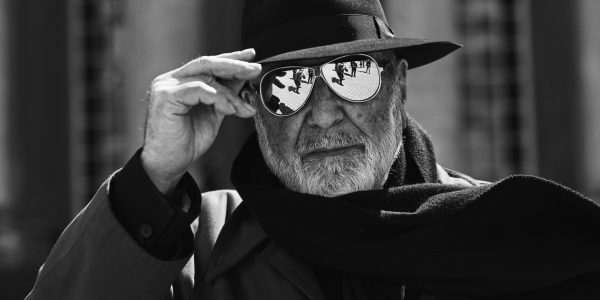 One of the most influential artists of his generation, his pioneering artistic experiments anticipated and inspired movements in conceptual art, minimalism and performance art. 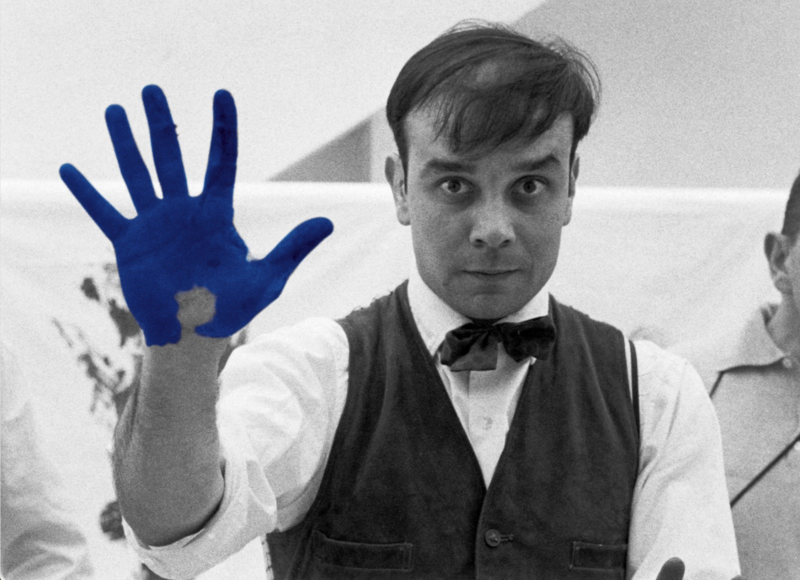 Klein is best known for the development of his own vivid ultramarine pigment, International Klein Blue (IKB), which became a symbolic part of his practice, a key to reaching the ‘infinite’ and ‘sublime’ through pure colour. 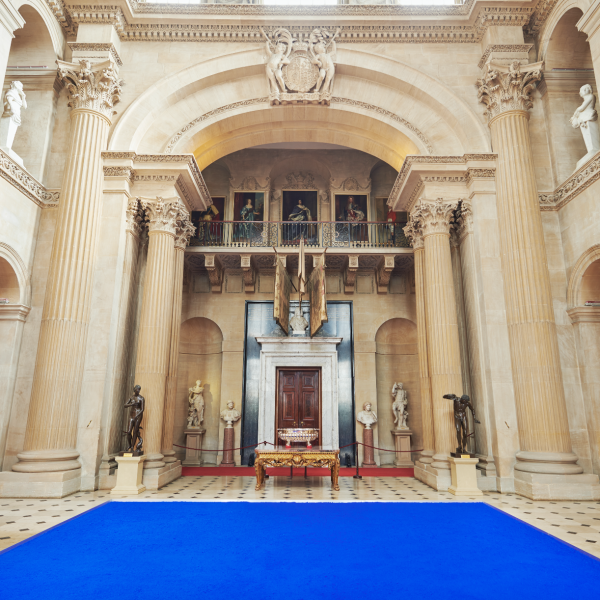 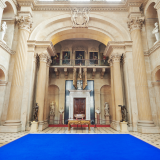 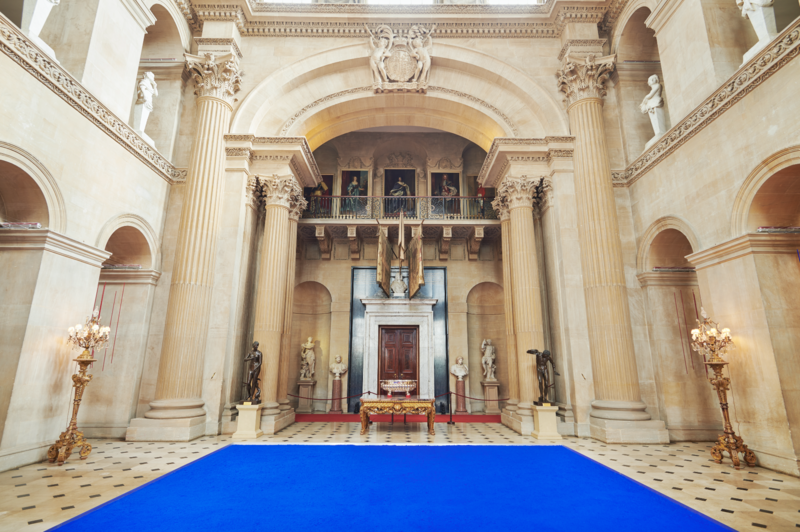 Yves Klein at Blenheim Palace featured a large-scale blue pigment installation and a number of Klein’s Monochrome Paintings, the dazzling uninterrupted colour punctuating and transforming the visitor’s experience of the opulent baroque surroundings of The Great Hall and principal rooms. 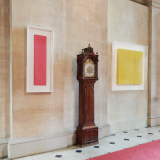 A painting from his groundbreaking Anthropometry series was also on display, for which Klein employed models as ‘living brushes’ to create marks on the canvas in front of an audience, as well as one of his late Fire Paintings and works in gold. 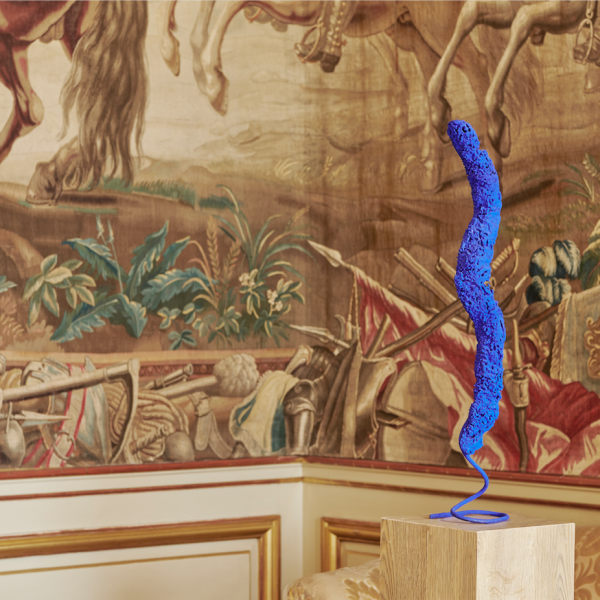 Klein blended traditional artistic mediums and imagery with dynamic techniques and performance, erasing the boundaries between process and artwork. 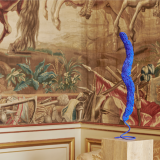 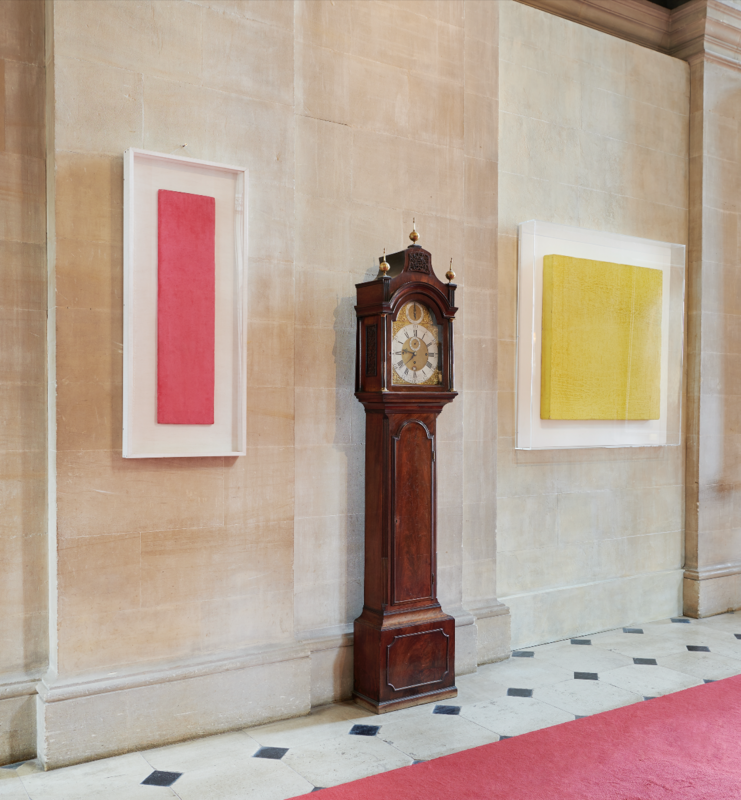 Sponge Sculptures, made from the sponges Klein painted with saturated with pigment, were on show alongside other free-standing works inspired by Classical Greek sculptures such as a number of Blue Venus works, coated in IKB.